There is no clearer indication of soup season than crisp winter air. Soups are not only easy to make, they also have the ability to warm you right up. There’s really no better winter meal. 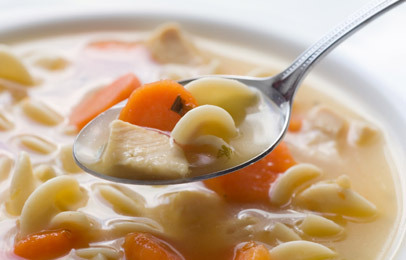 This recipe is a classic healthy chicken noodle soup that can made with simple whole ingredients. It is a good soup that the entire family will enjoy. Keep in mind that soups are highly personal so feel free to modify this recipe by adding or substituting certain ingredients to fit your needs/tastes.